What is UltaLife Her Harmony? 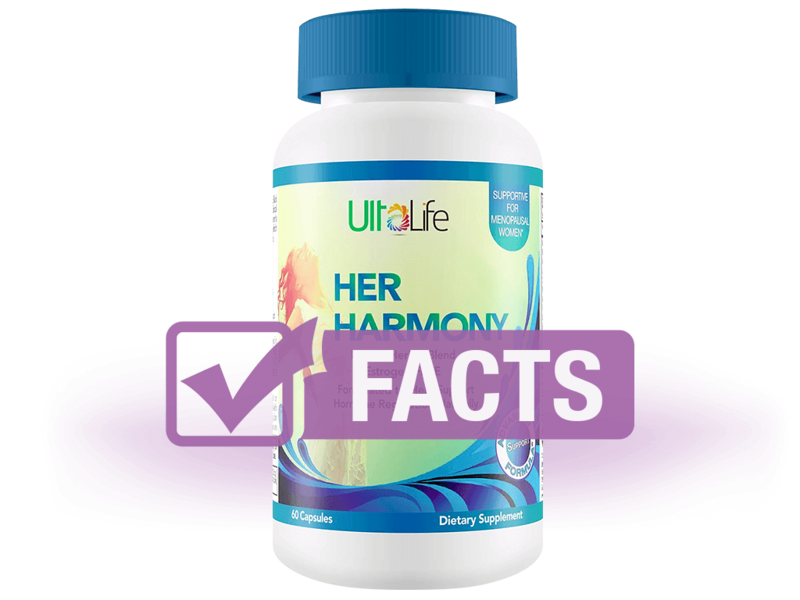 UltaLife Her Harmony is an herbal supplement designed to help women throughout their lives, from premenopause through postmenopause. The supplement is acclaimed to alleviate symptoms of anxiety, low libido, fatigue, hot flashes, insomnia, mood swings, and more. UltaLife does not explain how the ingredients work to alleviate symptoms of hormonal imbalance. However, from our research, we have found that strong phytoestrogens – like red clover, soy isoflavones, and black cohosh – are principally responsible for helping increase insufficient estrogen levels. Also, Chinese medicine practitioners traditionally prescribed dong quai for women's reproductive problems, like painful menstruation, and to improve blood circulation. This supplement is manufactured and processed in factory that also processes milk, soy, wheat, egg, shellfish, and crustacean shellfish. There is no information on long-term use provided. Also, the company website has no contraindications mentioned. Comparable menopause supplements with similar ingredients say if you are pregnant, nursing, or may become pregnant, consult with a trusted healthcare professional before using. Also, those with hormone-dependent cancers – breast or uterine cancer, for example – should be cleared before use. 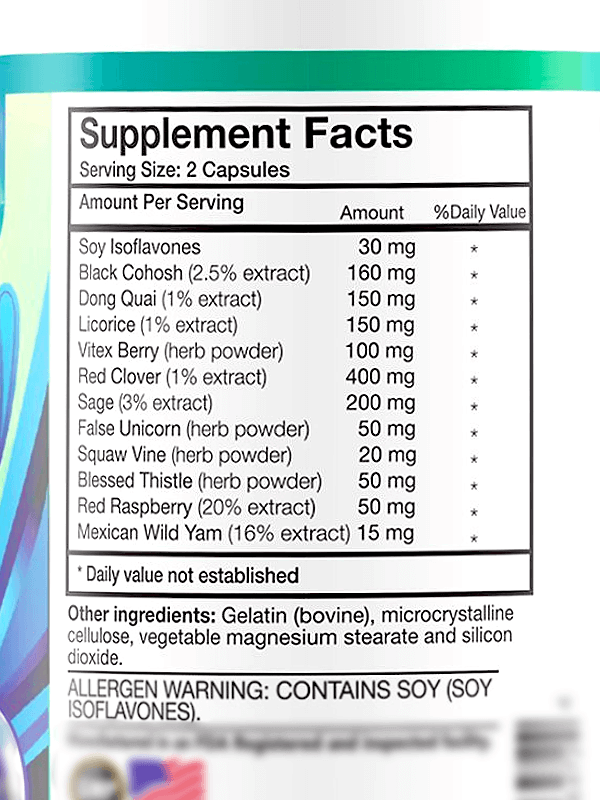 There are no side effects from taking this supplement mentioned on the company website. However, long-term use of black cohosh can cause liver damage and has been linked to a higher risk of contracting uterine cancer and other hormone-dependent cancers. Positive reviews credit Her Harmony for helping them resolve sugar cravings, weight problems, vaginal dryness, irritability, hot flashes, insomnia, mood swings, acne, and more symptoms. Negative reviews mention side effects of insomnia, anxiety, increased hot flashes, and more, including the product's ineffectiveness. Various negative comments also mention “fake” Amazon reviews posted by men. No further sources of reviews present on other credible websites. Take two capsules daily with food. Store this supplement in a cool, dry place. UltaLife Her Harmony is available for purchase through Amazon, which their product home page will direct you to as well.